“You’re never there,” sobbed a little girl when she learnt her mother couldn’t come to watch her sing at her school assembly. The assembly was in the middle of the day and the mother had a job. The previous day was an in-class display, also scheduled for the middle of the day. Her mother had changed her work roster to attend the display, but two days in a row was a bit much. Not surprisingly the mum left school in tears and feeling like she’d just been officially named Worst Mother in the World. Does the little girl have a father in her life? Yes. Did he attend either events? No. Did he get accused of being “never there”? Of course not. At my daughter’s school, awards are given out to children at 2.30 every Wednesday afternoon. If your child is getting an award you are notified the night before — after business hours — making it even harder to reschedule your work day so you can attend. Children expect their mothers to be there to clap and take a photo of the happy occasion. In their perception of the world, with no understanding of work culture, all they see is everyone’s mother making the effort to come. Except theirs. Some fathers do attend the assemblies. But fathers are viewed as a bonus, whereas mothers are a minimum requirement. It’s not unusual to see a frazzled mother sprinting across the school ground in heels at 2.29pm with her camera at the ready. Occasionally her meeting runs over or she can’t get a car park so that by the time she makes it to assembly the award has already been presented. It’s not just school assemblies that mothers are expected to attend in the middle of the day. It’s being the classroom helper, helping at school excursions and sports carnivals. One friend recently had a school event scheduled every day in one week. Some schools even run parent information sessions about school camps and curriculum in the middle of the day. Of course, when they called it a “parent” session, what they mean is “mother” session. Fathers have important jobs to do in the day, and mothers, well, they can always step back into the 1950s. 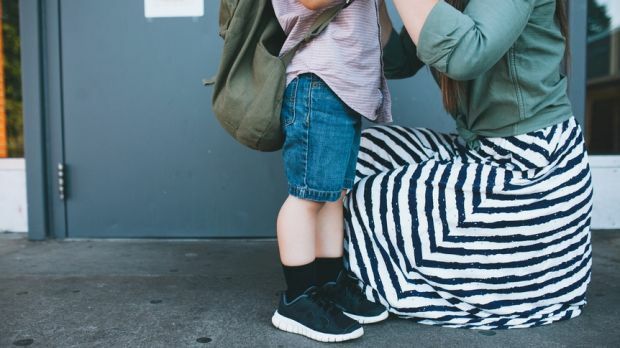 It’s an inequality that many schools perpetuate with their outdated scheduling and seemingly limitless expectation of mothers to provide their time and free labour. But not being able to make every single school event does not have to be a source of guilt for mothers. In fact, our children can be learning some very valuable lessons from having mothers who are “never there”. We tell our children that women are equal to men, but are they really going to believe it when they see mummy (and rarely daddy) drop everything to rush to school every second week? The lesson to many children is that their father is so important that he can’t possibly be disturbed during the day. Mothers , on the other hand, are just filling in time at work until she’s needed at school. By “never being there”, we show our children that women’s time and work is just as valuable as men’s. Any child who grows up believing the world revolves around them is going to get a nasty shock when they enter the workforce. Nobody else is going to meet their needs and whims 100 per cent of the time. While it’s important for children to know that their education is valued by parents, and mothers come when they can, an equally important lesson is that other people’s needs matter too. Happy, resilient children believe they are capable of doing things on their own without always having mothers as a safety net. By not always being there, we help our children to learn internal satisfaction; that things can be self-satisfying on their own, they don’t always need to be captured on their mothers’ phones to be worth doing. This isn’t about sparking a mummy war. To be clear, I’m not suggesting that by turning up to your child’s school you’re creating a sexist, entitled and dependent little brat. There are many other ways to teach children the above lessons. Making time to get to school events is a concrete way of demonstrating to children that we are interested and involved in their lives. But, given the demands of work and the out-dated scheduling of school events, we need to remind ourselves that missing some things is not the end of the world, for you or your child. As we move through term two, let’s remember there are some serious upsides to being a mother who’s “never there”. First Published on Daily Life. 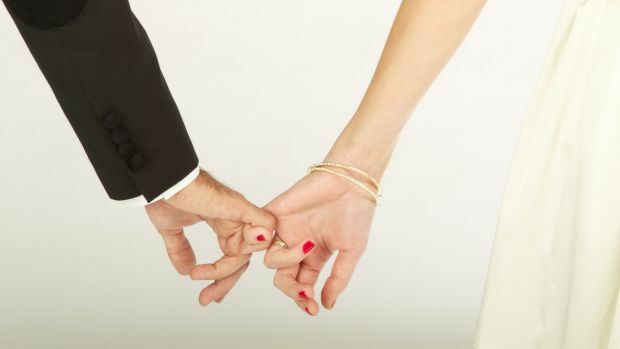 More than 80 per cent of Australian women take their husband’s name when they marry. Think that blind date your friend set you up on had your best interests at heart? Think again.